Yesterday I went to top up the feed on my bees, after a week of varroa treatment. 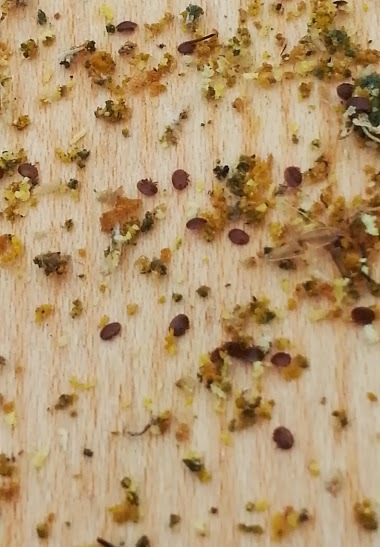 I took out the board and saw hundreds of varroa, above is a close up so you can see the details. 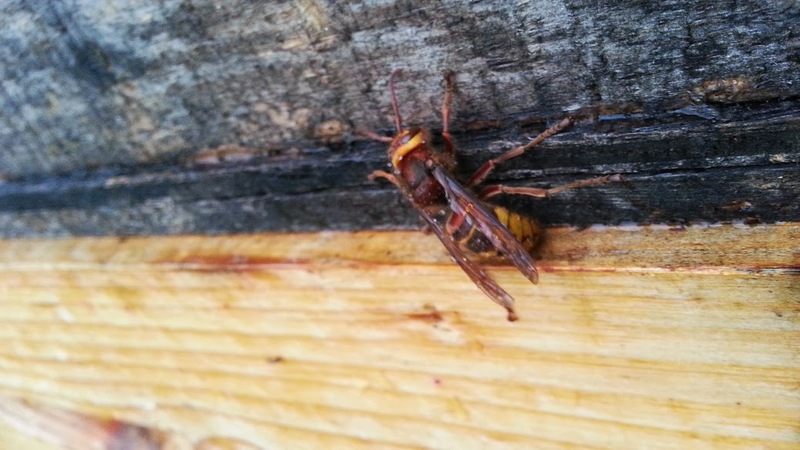 Today, I went back to drop off more syrup to the site and in the rain found three huge hornets. I photo’d them to check they were not the Asian hornets we are told to be on our guard for and because I don’t think I have seen any before; they were huge. Knowing that their diet would consist of my bees, I then dispatched them; with surprising difficulty, they are quite hard to squish as it turns out.